TODAY ONLY – FREE AbCrunch Included! What's Included in the Total Gym XLS? Priority Processing – Your order will be handled before all other orders, so your shipment gets to you faster than the average order. All Total Gyms are sent via UPS Ground. 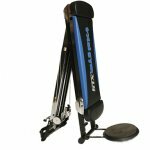 Extended Warranty – In addition to your limited lifetime warranty on the Total Gym frame, you’ll receive a 2 year warranty on all moving parts. We stand behind each and every Total Gym sold. 60-Day Extended Money-Back Guarantee – Try Total Gym in your home for an additional 30 days! That’s 60 days total! If you don’t think Total Gym is the BEST piece of fitness equipment you’ve ever used, you may return it within 60 days of receiving your Total Gym for a full refund or credit. 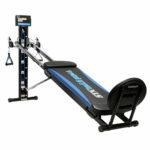 Total Gym takes ALL of the guesswork out of getting in shape. 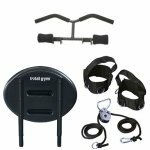 With the Total Gym XLS Home Gym Equipment, you’ll receive our complete line of Total Gym XLS workouts and Total Gym workout tools. The workouts are easy to follow, fun and motivational to keep you on your path to success! Start It Up DVD! – Your very first Total Gym XLS Trainer workout! Place your confidence in Total Gym and improve your overall health and well-being – check out Total Gym Reviews! We understand the importance of personal health, that’s why we make it easy for you to start right away with the Total Gym Price Flexible Payment Options & Total Gym Trial Offer. 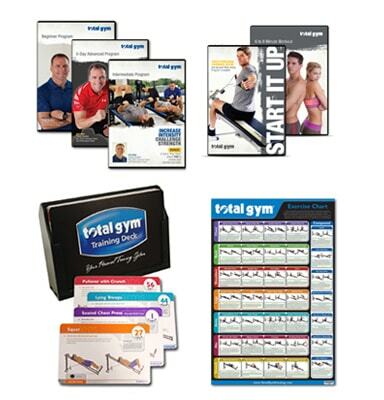 30-Day Trial – With the Total Gym 30-Day Trial, you can try the Total Gym in your home for 30 days, risk free! If you don’t think Total Gym is the BEST piece of fitness equipment you’ve ever used, you may return it within 30 days for a full refund of the Total Gym Price or credit. 30-Day Trial begins when you receive your Total Gym. 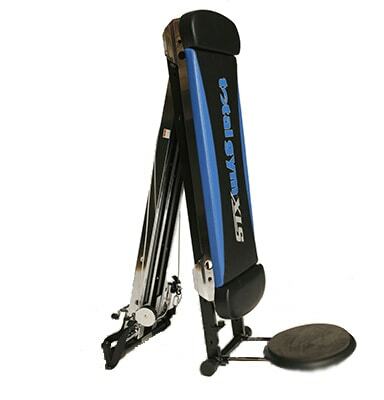 Warranty – Lifetime warranty on Total Gym XLS frame, plus 6 months on all parts.